Egnyte wants to be more than just a file-sync-and-share player and hopes to reposition itself as a data management and analytics company. On Tuesday, the Mountain View-based startup will unveil data analytics features that should help users better manage their files and documents. “The [file-sync-and-share market] is a decent-sized market, but overly crowded,” said Egnyte CEO Vineet Jain. “I believe it will cease to be a category and it will be a feature set.” This statement echoes what Steve Jobs thought of Dropbox, king of the file-sync-and-share startups, way back in 2009. 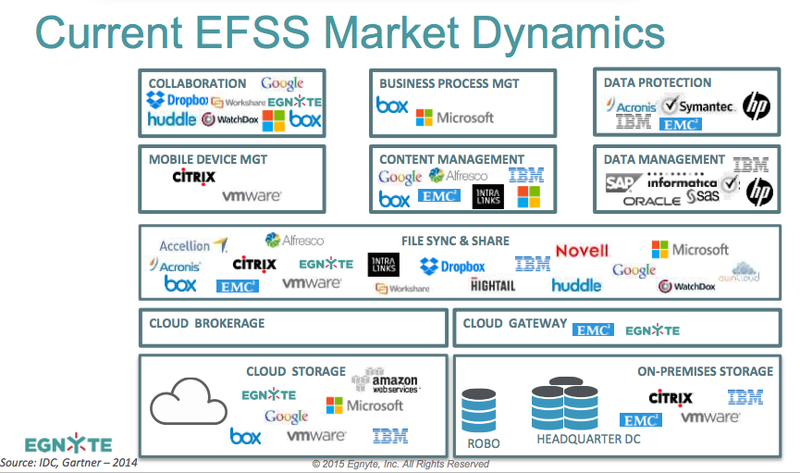 If it works as advertised, Egnyte’s new Adaptive Enterprise File Services will analyze how users access their storage, whether on-premise or in the cloud, and reveal which documents are downloaded the most and are the most collaborated on. It will also allow users to share documents with other companies in the case that they are working on a joint project, and users should be able to see a full “audit trail” that will let them know if the documents have been downloaded by other parties, Jain explained. IT administrators now can automatically archive data that hasn’t been touched in a long time, select the appropriate storage mechanism for the type of data being stored and discover who may be doing something suspicious with all that data. “We can make the recommendation to move to Amazon Glacier, the cheapest storage in the cloud, and do atomic filing, [which] cuts down the cost,” Jain said. Later this year Egnyte plans to roll out automation features that should make it possible for the Egnyte service to provision “the movement of data without humans touching it,” said Jain. Jain wouldn’t elaborate on what exactly Egnyte’s engineering team is working on to make sure that the service can deliver on what it promises, but he said there’s “a lot of work ahead.” The “biggest challenge” facing Egnyte is making sure that its upcoming automation features scale well for its big clients who may have upwards of 25,000 users, Jain explained. As the cloud-storage wars taught us, it’s not enough to just offer cheap storage, since the big cloud providers of [company]Google[/company], [company]Amazon[/company] and [company]Microsoft[/company] are willing to outdo each other over price. Now, if a company wants to make a name for itself as a storage-service provider, it’s going to be up to the features it delivers to make itself stand out from the pack. “I want the market space to be the biggest possible to build a company for the long run,” said Jain. Egnyte is going to have to innovate if it wants to outdo its larger competitors. The company has raised $62.5 Million since its inception that it can use to invest in new features, but that’s not a whole lot of money compared to how much the big guys have.